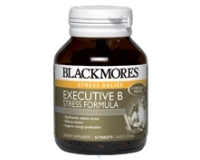 Blackmores Executive B can help to maintain optimum levels of vitamins and minerals during times of increased need, and can provide relief from stress and tension. The human body has increased requirements for vitamins (especially the B group), and minerals during periods of increased stress. During stress, nutrients such as vitamin C, vitamin B6, vitamin B5, zinc and magnesium are important for supporting adrenal function. 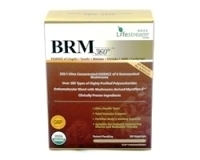 Vitamin B5 has long been considered the “anti-stress” vitamin because of its central role in adrenal function and cellular metabolism. Some of the B group vitamins, such as folic acid and vitamin B6, are involved in the manufacture and action of mood enhancing hormones such as serotonin. Traditionally, magnesium phosphate and calcium phosphate have been used for nervous tension and anxiety. Potassium phosphate is indicated for low nervous energy, lethargy, lack of drive and motivation.